About the Author: Dr. Karp is the world's leading baby and toddler expert. He has been a pediatrician and child development specialist for 30 years and is Assisntant Professor of Pediatrics at thee USC School of Medicine. He has books and DVDs that teach his extraordinary techniques to millions of parents including: Madonna, Larry David, Claire Danes, Jewel, Michele Pfeiffer, Jody Foster and Pierce Brosnan. 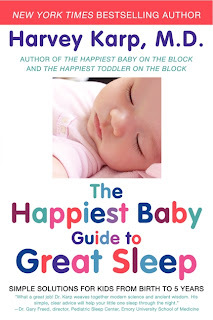 Dr. Karp's books have been translated into over 20 languages and thousands of specially trained educators teach Happiest Baby classes across America. He and his work have been featured in National press, including Good Morning America, Dr. Oz, The View, Today Show, CNN, CBS News, ABC Evening News, The New York Times, Wall Street Journal, USA Today, Associated Press, People, Time, Newsweek, NPR and many more.